The Super Administrator is the main account holder for your Flipcause Account. 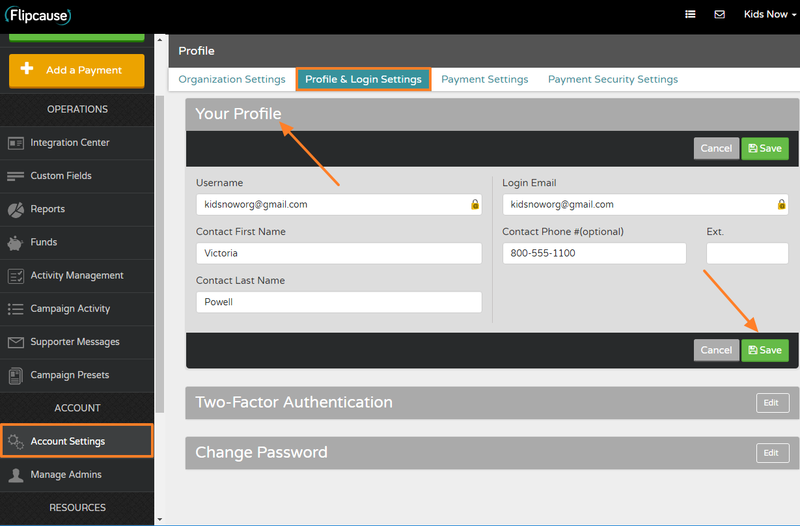 To change the Super Administrator name, email, or login username, go to Account Settings > Profile and Login Settings > open Your Profile. This is the information that is used as the login for Flipcause, and will by default receive notifications for all new campaigns. Be sure to click "save" when finished. In this section, you can also change the password for the Super Administrator, and set up Two-Factor Authentication for added security.